Great gift idea - Birthday, baby shower, new arrival or just for someone special. Perfect size to cuddle, hold and rattle! Light weight - ideal for babies that are learning to grasp and hold. Perfect size for the nappy bag, car or pram. 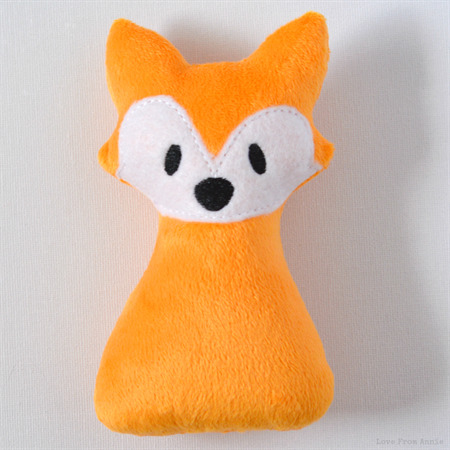 Made with beautiful soft minky fabric, felt and quality polyester filling with a rattle insert. Your baby will love the rattle noise and super soft texture of the fabric. Each fox rattle is handmade by me with lots of love! Overseas buyers welcome, please contact me for postage quote. Overseas buyers must pay via paypal.